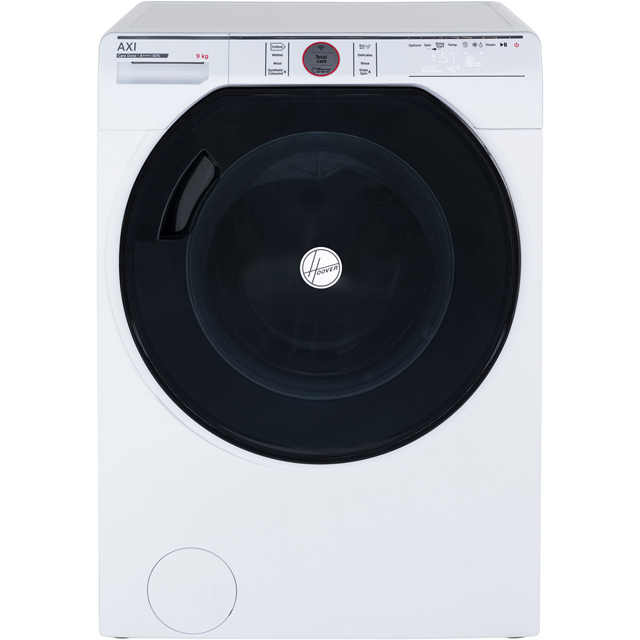 A 10kg drum means clothes get more room to tumble, so they get a better clean - making this washer dryer from Hotpoint perfect for large households. 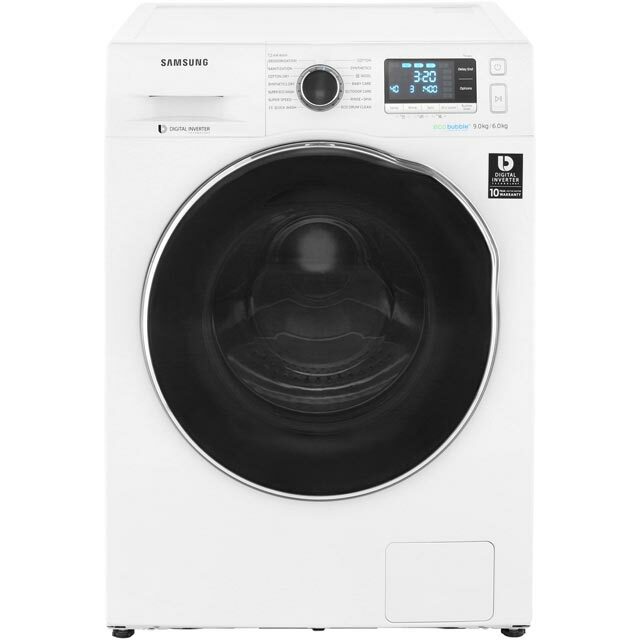 It’s rated A for energy efficiency and has a brilliant Anti-Stain programme that easily shifts stubborn stains at 40°C. 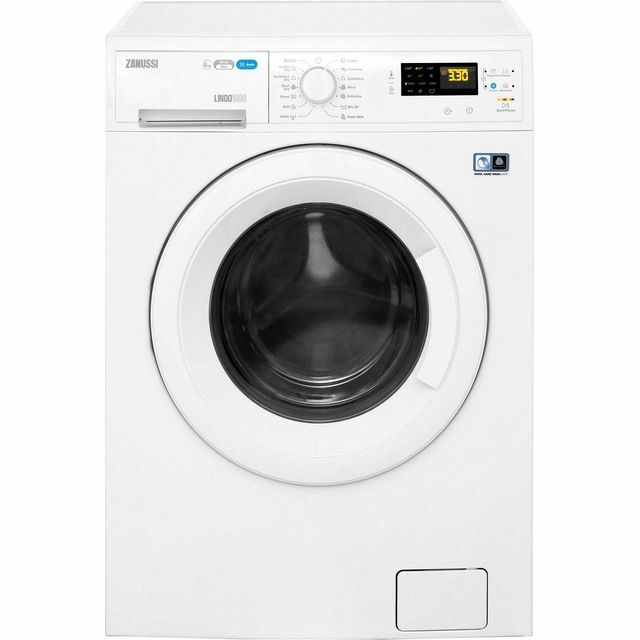 The 30 minute Quick Wash cycle is great for last-minute midweek laundry. To take care of delicate knitted jumpers and cardigans, there’s a Certified Woolmark Green programme. It uses a cool temperature, slow spin speed and keeps water and energy waste to a minimal too. I've had the machine for a week now. Easy to use, have had to refer back to the instructions every now and again as there are so many washing options. Only down fall is there isn't an option to say the load is a small/half load. I've assumed you select the daily wash option (max load 3kg) rather than telling the machine it's a smaller load. Overall, once use to the machine, I think it'll be great! We are pleasantly surprised at how quiet the machine is, it only gets a bit loud for a short time while it is spinning at full speed, we can barely hear it for most of its cycle. Our clothes come out smelling great with minimal creasing, which wasn’t always the case with our old machine. Well worth the money. Five star service and a five star product. This Hotpoint machine is so quiet, is easy to use. 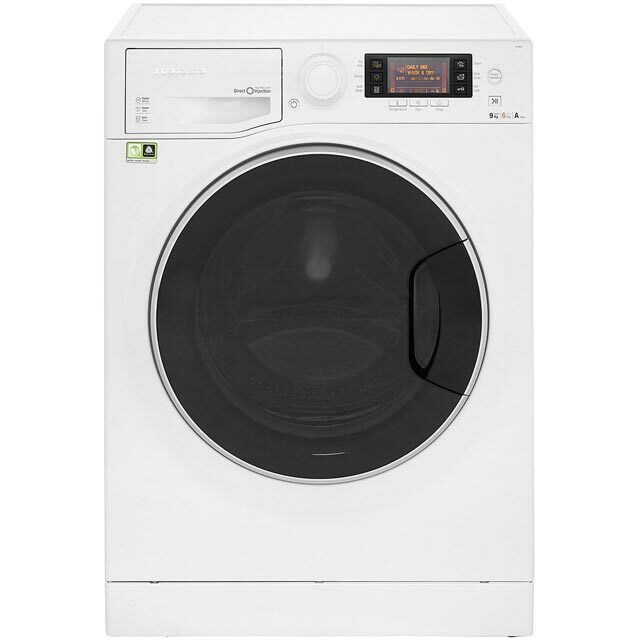 The machine cycles I have used are fantastic and remove stains as described. Excellent product, fabulous capacity, easy to operate with a good selection of programs. Washing and drying is quiet. We bought the machine having read reviews online. We’ve only had it a week but it seems to be very easy to use. Good drying. Very quiet washing mode. With football kits to wash after school for next day wear it’s great to know it’s doable whatever the weather.